With a steep rise in the number of people interested in Ayurvedic healing in the West as well as in India, the ayurvedic spa industry has started to grow exponentially. While a lot of youngsters have started to look at it as a lucrative career option, the industry is finding it difficult to find qualified workforce every year. The diploma course is meant to meet the demand of the industry by delivering quality nurses and therapists. The Institute of Ayurvedic Science is offering"Diploma in Ayurveda Nursing" recognised by Government of U.P. and affiliated and enrolled to The Board of Ayurvedic and Unani Tibbi Systems of Medicines, Lucknow, U.P. (India) . 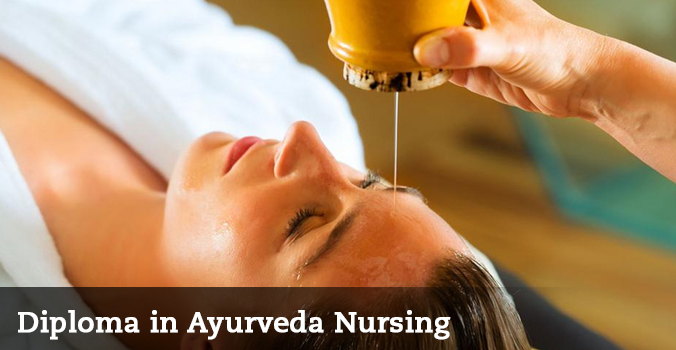 The Institute aims to provide and train qualified Ayurveda Nurses to support the medical profession. Must be 10+2 (Preference will be given to Science stream students).